Skeleton Cave. AKA “The Party Cave”. If you've lived in Central Oregon, especially if you grew up here, you will have heard of it. 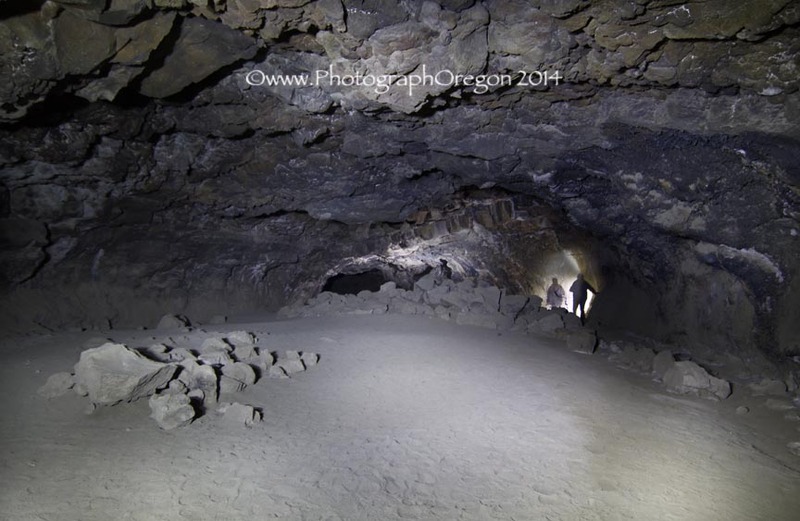 This cave was the big party spot up until it was gated in 2006 by the Forest Service. There was good reason for this. After spending a whole day inside assisting the USFS counting bats, it made me very sad that it came to this. Skeleton could be one of the most public friendly caves that I've seen. It is magnificent. As we walked along the main tube there were icicles, beautiful geology and graffiti. 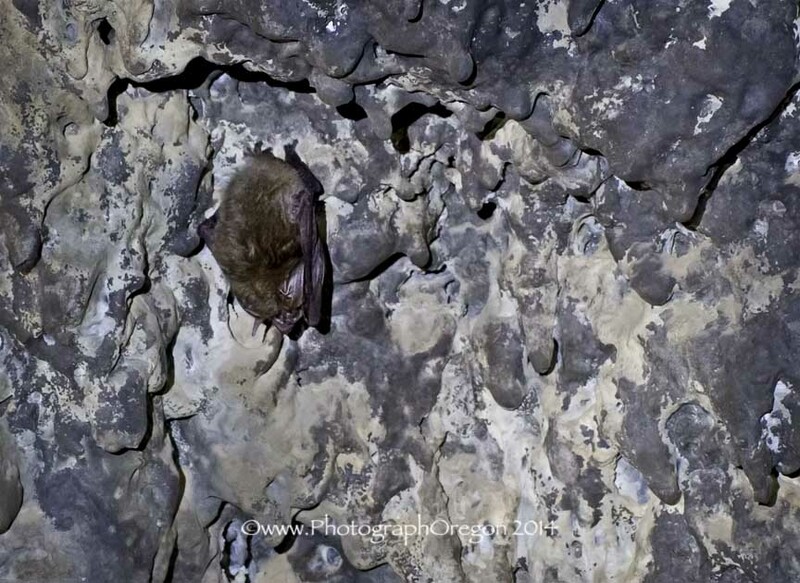 There were Townsends big-eared bats, Canyon bats and other Myotis bats. Very cool, very tiny. Eventually you come to a junction. The tube off to the left where the bones were found eventually gets to crawling level after you go through a crazy rock canyon. The tube off to the right is also pretty long and descends dramatically. I don't have pictures of these because we really were there to do a job and it would have taken a long amount of time to photograph. Time we didn't have. As it was we spent almost 4 hours in there just looking for bats. A complete survey by Jim Nieland puts the length at 3,560 feet. There are a lot of little roller balls of lava on the floor in the right tube and eventually with three of us the noise was enough to get some bats flying, so it was time to leave. If they use up their winter resources flying around, they will die. We did not even finish to the end of this tube. 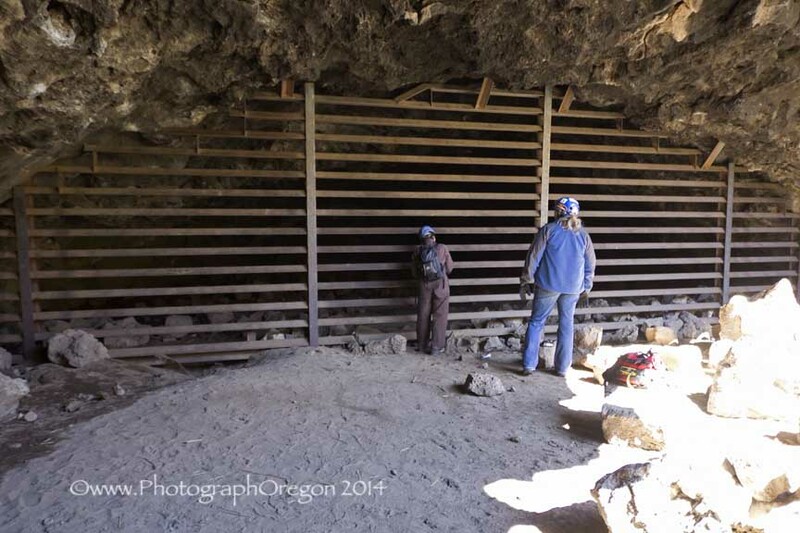 We put the idea out that the USFS should revive the custom of opening the cave occasionally for some public access days when it is not bat season and we're going to stay on that. As it stands now this cave is permanently gated and monitored for violators. (So really, don't try it. 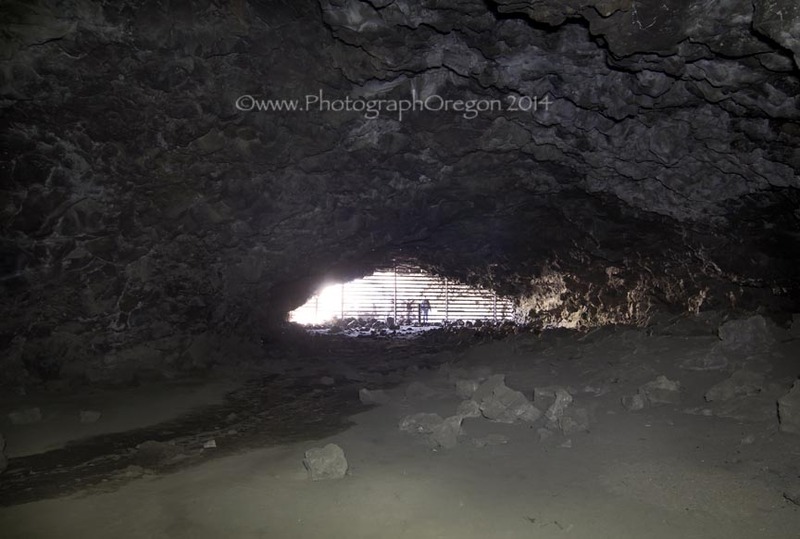 There were over 200 cave related arrests last year in Central Oregon). Skeleton cave was discovered around 1924. 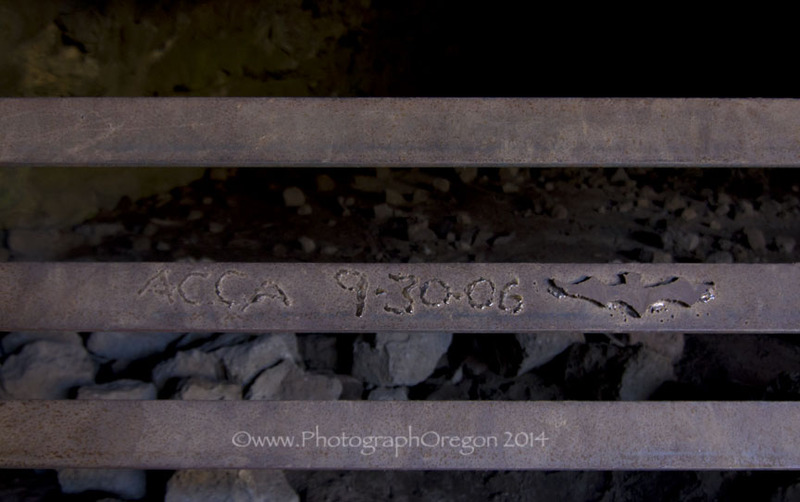 However, there was a stick was found inside the cave with penciled markings documenting a visitation from 1894. Somewhere around 1924 an illegal moonshiner's still also was found inside the cave. It's possible that this cave was originally referred to as Bone Cave. Phil Brogan who observed many assorted pieces of skeletons inside was the one to give it it's current name. It seems once animals got in to the skylight entrance to the cave they could not escape. The most interesting skeleton belonged to a horse from the Pleistocene that was later identified as Equus niobrarensis. It now resides in the Smithsonian.